Wendy Fereday has been teaching swimming lessons to all ages since 1974. 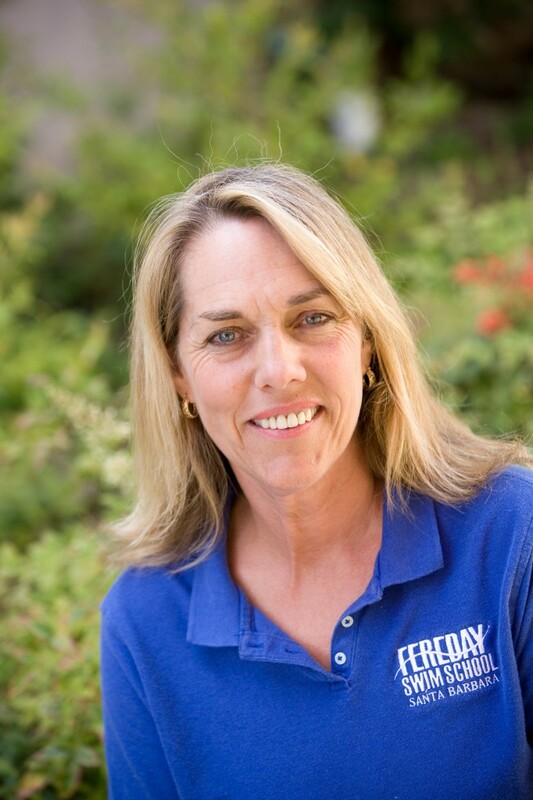 She started the Wendy Fereday Swim School in 1995 and has been a current member of the United States Swim School Association since that time. She holds a B.A. in Ergonomics (Physiology of Exercise), a teaching credential in Physical Education, and a coaching certificate in swimming. Our goal is not to just teach your child to swim, but to learn to thoroughly enjoy the water. We teach safety and survival skills along with the foundations of stroke technique. We believe love and understanding within a structured environment will produce a safe and happy swimmer. We look forward to having you as part of our swim school program! With loving teachers and committed guidance, we aim to meet each child’s personal needs so that they can be independent and successful swimmers. Our goal is to see the joy and confidence emerge as your child learns how to be skilled in an aquatic environment. Our instructors aim to create a relationship with each student based on love and trust. We strive to provide water safety education to the community we serve. Children are a gift from God and it is our honor and privilege to have your children in our program. We believe that their aquatic education is among the most important skills your child will develop in their life. We believe that through regular weekly water exposure your child will continue to adapt to the water and learn the safety and life saving skills required for a lifetime of swimming enjoyment. We believe that with patience, positive reinforcement, and responsive instruction, all children can learn to swim at an early age. As a family swim program we believe that it is imperative to support the whole family with water safety awareness, education, and instruction. Our teachers are all instilled with the same philosophy and methods to ensure consistency across the program and your child's learning progression. All of our staff has been rigorously vetted and thoroughly trained. Repetition and quality practice are key to developing good swimming technique. Our hiring process and training process ensures the best instruction for your child. Most importantly, we ensure that all our instructors love children and are attentive to your child's individual needs and learning style.